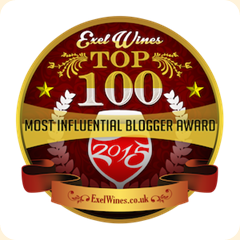 This lush Merlot was the choice during a recent dinner party. Stonehedge is a Napa Valley winery that aims to produce “exciting, delicious and multi-dimensional wines” at a price point that makes them available to most people. Their Reserve Napa Valley Wines are produced from specifically selected blocs of famous vineyards embodying the best a grape variety has to offer. 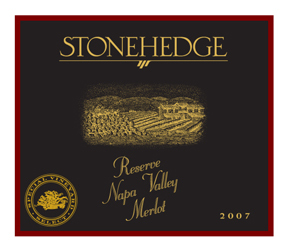 The 2007 Stonehedge Napa Valley Merlot is produced exclusively from grapes grown in mountain top hillsides of Napa Valley. The desolate rocky soil in high altitudes causes the vines to be stressed. As a result they yield a very limited amount of grapes with intense flavor concentration. We decanted this bottle and were rewarded with an elegant and smooth wine. It seems that often Merlot plays second fiddle to Cabernet Sauvignon, but this Merlot shows the beauty of the grape without the harsh tannins that can accompany some Cabs. The wine had layers of ripe cherry, berry and plum flavors. The finish was long and strong. The wine retails for about $25 and lives up to the multi-dimensional, inter-galactic claims of the winemaker.